Who remembers as a child, cutting out two rings from a cereal pack, getting some old wool and wrapping it round and round. Then finally cutting along the edge of the wool and tie with another piece of wool, ending up with a woollen pom-pom. Well Steiff took this to another level, making all sorts of wonderful animals. 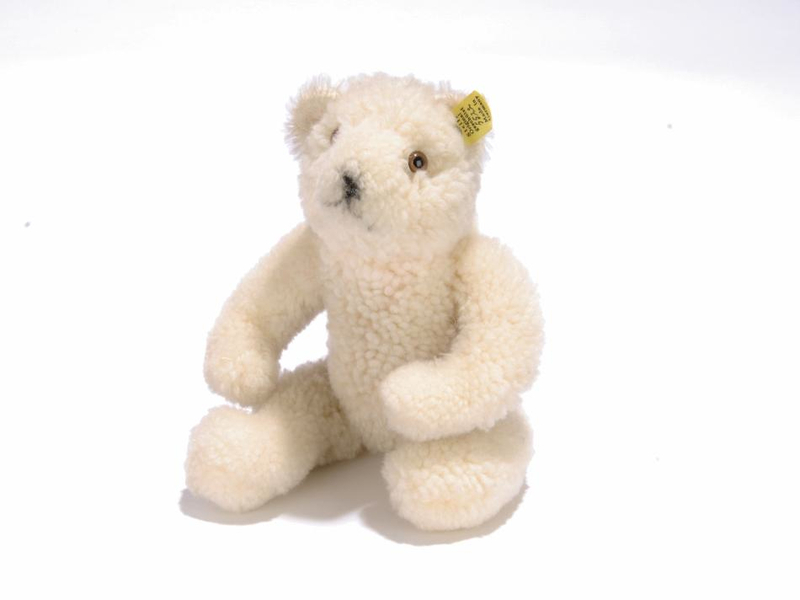 Here is one of the rarest items, a Teddy Bear; just under 1000 of these were produced in the 1930s. 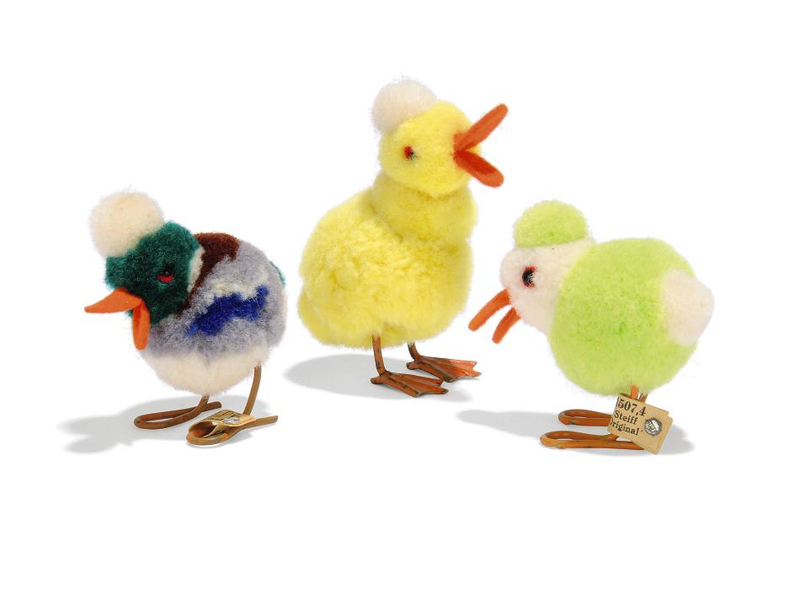 Here is one lot in the Christie's sale, three ducks, with pom-poms on their heads. The green one on the right is a rare colour and the central one has tinplate webbed feet which is fairly rare. This is a rare piece, a cockerel pin for your lapel. 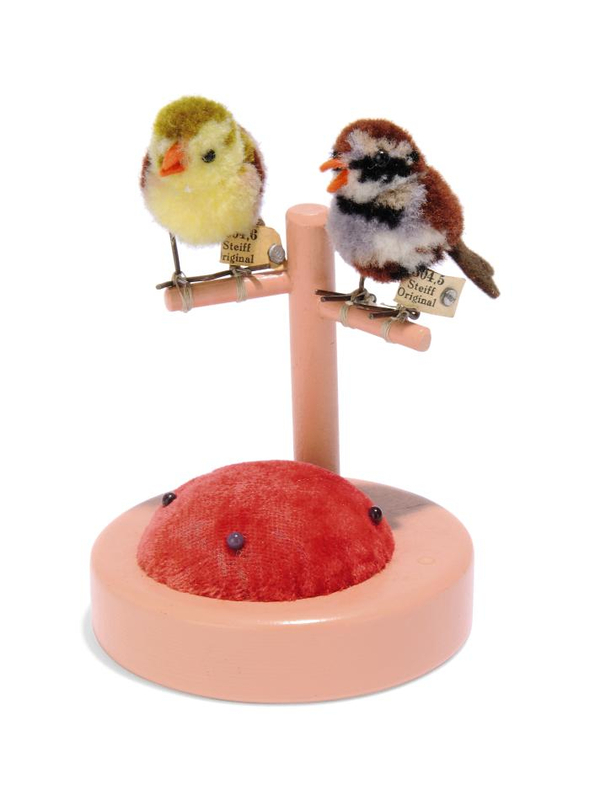 Here are two little birds sat on a pincushion. 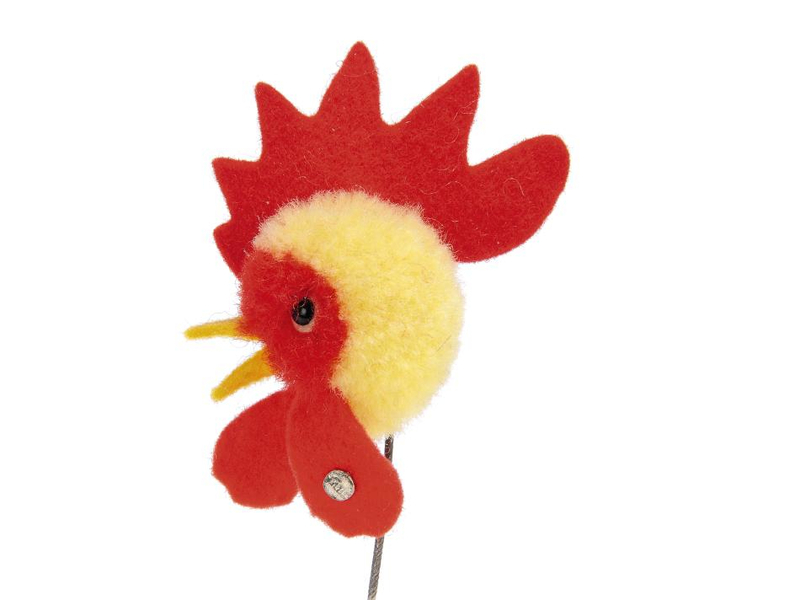 Lots more pom-pom woollen animals and birds coming up in the sale on the 13th October. I collected these as a child, would save up all my paper route money and lament over which one I wanted to take home, I need to unearth these babies and enjoy them, perfect as Christmas ornaments!